If you’re considering moving overseas, there are so many considerations to take into account in your planning. Let’s cover some of your Roatan FAQs more in-depth. Today, we’re talking life in Roatan: neighborhoods and developments. Moving to Roatan can be a life-changing experience for you. Slow down, appreciate the beauty of nature, and explore a whole new world in the Caribbean. But island life isn’t just a one-size-fits-all experience. You might envision a sprawling sea view from your quiet hillside home, while another person might picture a luxurious condo with plenty of amenities for an island-style retirement. There are many different areas on the island of Roatan that can be broken into neighborhoods and developments for easier recognition. 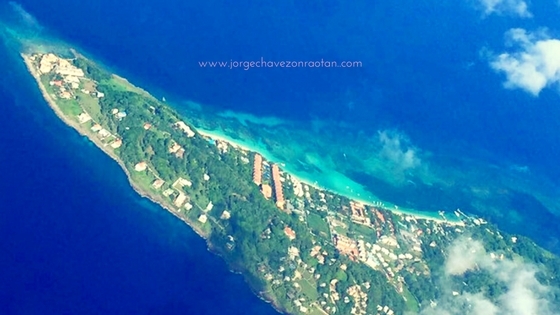 First, there are two municipalities on the island: Roatan and Santos Guardiola. The municipality of Roatan is the western half of the island from French Harbour to West Bay. The municipality of Santos Guardiola is the eastern half of the island from First Bight to Old Port Royal. Within each area, you can find more developed and less developed neighborhoods. But, generally speaking, the eastern half of Roatan is much less developed and more rural than the western half. 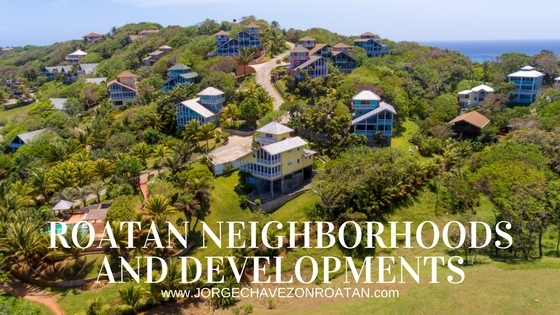 There are also many planned developments and communities in Roatan that have grown in recent years. Let’s break some of those down, alongside some of the popular neighborhoods for expats. Expats tend to look at several popular neighborhoods in Roatan. Primarily, those popular areas are Sandy Bay, West End, West Bay, Pristine Bay, Palmetto Bay Plantation, Keyhole Bay and several neighborhoods on the East End. Those include Parrot Tree Plantation, First Bight, Punta Blanca, Calabash Bight, Camp Bay, Calabash Bight and Politilly Bight, among others. 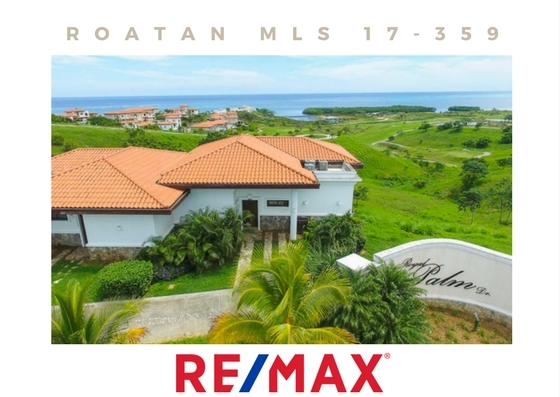 Within the western half of Roatan, you’ll find many neighborhoods with lots of real estate listings appealing to expats. 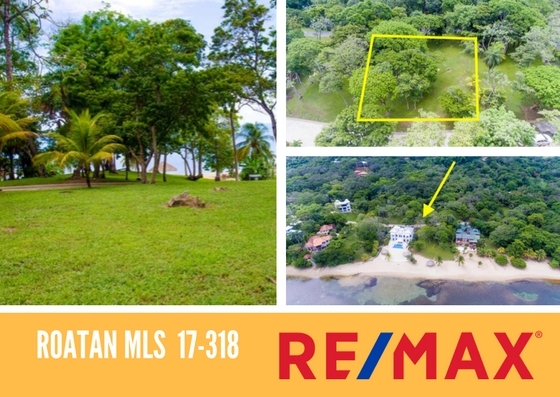 If you’re looking for houses in Roatan, take a look at Turrets, Turtle Crossing and Lighthouse Estates in West Bay overlooking the point of Roatan. You can also look at some neighborhoods along West Bay Road, including around Tamarind Drive. Other neighborhoods with plenty of houses include Mangrove Bight and Gibson Bight, Sandy Bay, and the Lawson Rock community, which includes both condos and houses. 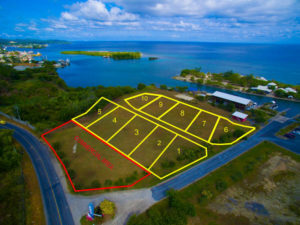 You’ll also find plenty of opportunities for condos or apartments throughout the western half of Roatan. There are many options in West End and along West Bay Beach in particular, in addition to the Lawson Rock community in Sandy Bay. Expats also tend to love the many planned developments and communities in Roatan. You can choose from the more luxurious options at Pristine Bay, offering a private beach, clubhouse, and the island’s 18-hole championship golf course. Or enjoy the location of Lawson Rock in Sandy Bay with its appealing rental market offering snowbirds the perfect combination for an investment. These condo units especially frequently rent well as vacation homes, so you can come enjoy paradise for a few months each year, and then allow a property management company to facilitate the rentals throughout the rest of the calendar. Keyhole Bay, just up the road from West Bay Beach, is another luxury opportunity for a quiet retreat from the crowds. Sunset Villas in West End is an incredibly popular neighborhood offering both residents and visitors walking access to all of the bars, restaurants, and activities of this vibrant community. Parrot Tree Plantation and Palmetto Bay Plantation offer a variety of home options and are both centrally located for easy access to commercial French Harbour, including the brand new hospital based at Mega Plaza. They both enjoy great convenience while staying far off the main road and the tourist crowds. There are other neighborhood developments with amenities, like Turtle Crossing and Lighthouse Estates in West Bay, that enjoy community pools and landscaping, in addition to security and utility set-up. Where Should You Live in Roatan? Your own situation is unique, so only you can decide what’s best in terms of location. But you should certainly consider several important questions. Do you need to work or are you retired? If you require work and are seeking employment, you’ll need to consider the availability of jobs in reference to homes. While Roatan is not a large island, the single main road is narrow and winding and can be very congested when cruise ships are in port. Commuting long distances is not ideal. If you can work from home, then you probably need to just consider your access to reliable internet. Ask around and test speeds before committing to a lease. If you’re building or buying real estate, you can ask neighbors which company they use. Then again, maybe you’re coming to Roatan to pursue a new opportunity as an entrepreneur! Take a look at our available commercial land and properties for ideas. If you want to walk to restaurants, bars, shops, or activities, you should look at developments, or at the far western side of the island. Living on the East End absolutely requires a vehicle, as the public transport is not as readily available without the high tourist volume the western side receives. 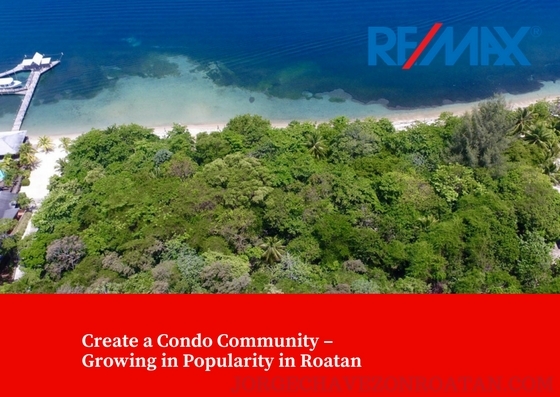 These are all considerations to take into account when choosing neighborhoods and developments in Roatan. The lifestyle you want will determine your search starting point, but you might have to compromise based on your specific circumstances. If you’re moving to Roatan with your family, it’s also vitally important to consider everyone’s needs for daily life. Schools, activities, job opportunities, and access to commercial areas are all considerations you should remember while looking at real estate opportunities. There are many more schools available – especially bilingual private schools – on the western side of Roatan. French Harbour, Coxen Hole, and Sandy Bay all offer opportunities for expat kids. There are plenty of activities for kids, too, from sports to arts to all the amazing water-based activities of island life. Check out programs offered by the SOL International Foundation to get an idea of community opportunities. We’ll delve more into this and other considerations throughout my Life in Roatan series. 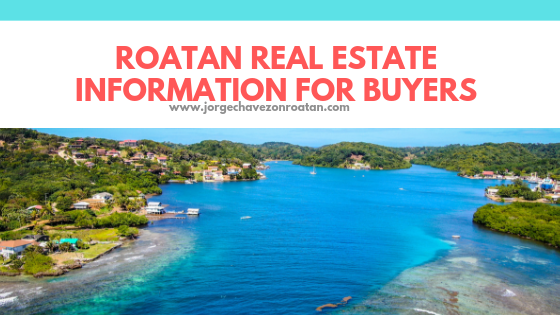 Be sure to check out the rest of my blog for more insights into real estate in Roatan, and never hesitate to reach out with any questions! Moving to a Caribbean island sounds like a far-fetched idea to some – but to those of us who feel called to the islands, it’s only a matter of time. We love the rhythm of life here, the sunshine, and the salty breeze. Moving to the Caribbean is the best decision for so many of us! The island of Roatan is the largest of the Bay Islands of Honduras. With direct flights to the U.S. and Canada, you don’t have to worry about taking those tiny island hopper planes to reach this paradise. If you’ve been thinking about moving to a Caribbean island, moving to Roatan is certainly an easy option. Retirees enjoy a fabulous lifestyle filled with outdoor social activities and a low cost of living. There are opportunities for entrepreneurs and highly qualified people are always needed to boost the growing industries on this island, especially in tourism, education, and medicine. Moving to this Caribbean island is an opportunity just waiting to be seized! 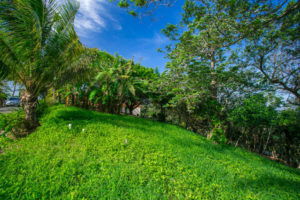 Roatan is frequently called the Gem of the Caribbean for its lush green jungle covering the hilly terrain leading to the turquoise Caribbean Sea below. Powder soft white sandy beaches and dramatic black iron shore (fossilized coral) lines the coastline, with the world’s second-largest barrier reef just off shore – close enough to swim! Snorkeling and scuba diving have long been popular in Roatan, but outdoor sports of all variety are available for your enjoyment. From kite surfing to paddleboarding, kayaking to beach volleyball, baseball to parasailing…Roatan has something for everyone in this natural playground! 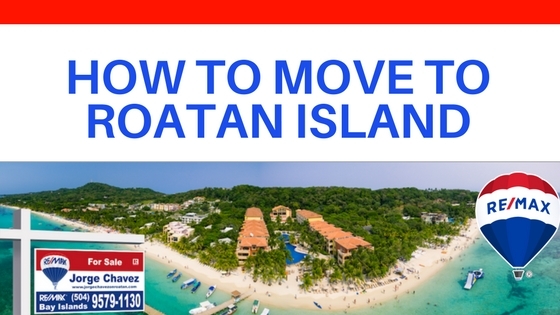 Roatan is also a well-established expat destination, with expats from all around the world moving to this Caribbean island for a better lifestyle by the sea. With a relatively low cost of living and continuous upward growth, Roatan is regularly hailed as a premier destination for both tourists and expats. If you’ve been dreaming of moving to a Caribbean island, now is the time. Just do it. You have to make your own dreams come true and there’s no better time than the present! Yes, there are logistics involved and family to consider and holidays you’ll miss. There are jobs and pensions and investments to worry about. Of course! But, at the end of the day, if you’re dreaming of living a different life in the tropics, only you can make it happen. Go for it! What do you think? Are you ready to move to a Caribbean island? I have so many amazing real estate opportunities to share – regardless of your budget. Get in touch and let’s talk about seriously making this happen. It’s your life. If you want to live it in the tropics on the beach, make it happen! 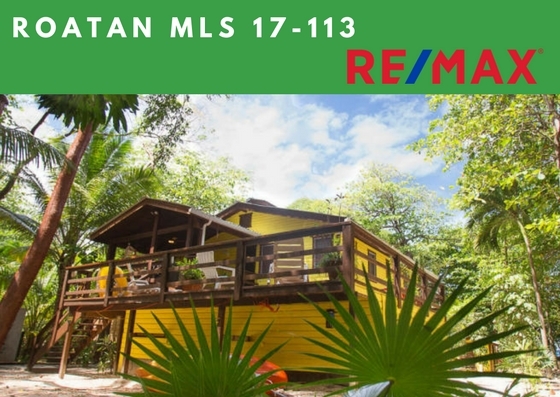 We’ve covered the costs for sellers in Roatan, so now let’s turn to buying. 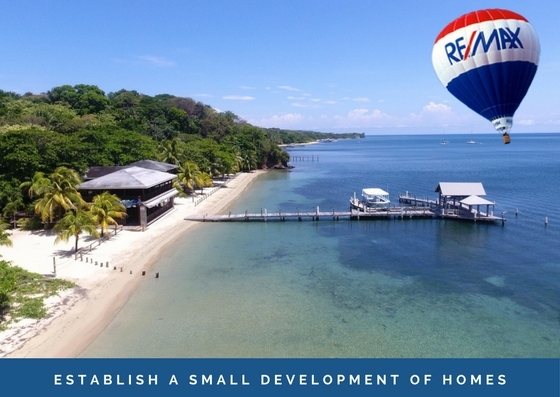 Here’s some Roatan real estate information for buyers so you feel prepared for the journey ahead…the journey that ends with your Caribbean island home dream coming true! The first things to consider when buying real estate overseas are the legal questions. Can you purchase land or real estate as a foreigner? Do you require residency? What legal implications are there? 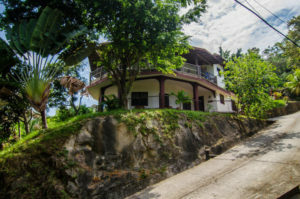 In Honduras, foreigners are able to purchase up to 3,000 square meters (approximately 0.72 acres) of land within 40 kilometers of the country’s borders or coastlines. That makes it easy in Roatan since you’re never that far from the sea! If you want to purchase a property that exceeds the size limitation, you will have to form a Honduran corporation in order to do so. It’s not a complicated process and I’m happy to connect you with a reputable attorney to discuss your options. When it comes to buying real estate in Roatan, you have a few options to consider with residency. If you intend to reside here full-time, then obtaining your Honduran residency is obviously recommended. 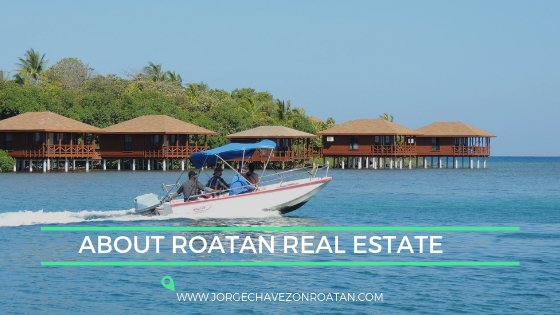 If you are purchasing Roatan real estate for a second home or vacation home, then you might not require residency. If you hold a Canadian, US, or EU-member country passport, you’re likely to be allowed to visit Honduras on a tourist visa for up to 90 days at a time. You won’t need to apply for the visa in advance; it will simply be issued upon arrival. If your goal is to buy Roatan real estate to spend your winters here as a snowbird, then you can easily plan to spend three of those cold winter months in paradise instead. 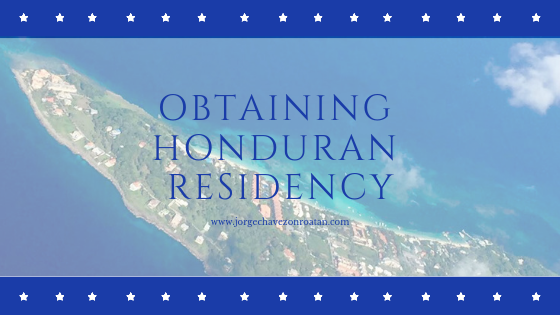 If, however, you want to move here as a primary residence, you should apply for your Honduran residency right away. I’m happy to help you connect with the right local attorney to facilitate that process. 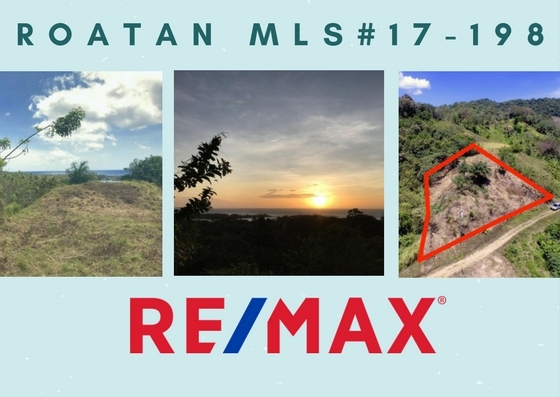 Roatan is fairly unique in the region in that we have a Multiple Listing Service (MLS), which allows all potential buyers the chance to peruse all available inventory. Because of this online real estate search system, you can be in the comfort of your current home while scanning all the options here in paradise. It makes it so much easier for you to find your perfect dream home! After you find that dream home, and after we’ve negotiated the price with the seller, I will get you an exact closing cost quote from the attorney of your choice. In Roatan, buyers pay all closing costs and sellers pay capital gains and commissions. Closing costs and any corporation formation costs are all paid at closing. Once everyone approves the contract, you’ll have up to 10 working days to wire the 10% earnest money deposit to my escrow account. After you wire that earnest money, and as long as the seller meets all contingencies and terms of the contract, if you back out from the sale you will lose your earnest money deposit. So let’s make sure you definitely want that property! While you wait for the closing, I’ll assist the attorneys in getting the catastral certification – or the satellite registered plot – as well as an updated survey, the paid tax receipts, title documents, etc., to complete the closing. At least a week before closing, you’ll need to wire the final funds, including the attorney fees. The closing is done after the attorney completes the title opinion search, confirming that the land has a valid title with no unanswered questions. If there are any issues on the seller’s side with the paperwork, they must be resolved to the attorney’s satisfaction. A final important consideration is in regards to estate planning. With your investment undoubtedly being in another country from your relatives and heirs, you’ll want to make sure your legal considerations are all handled. As a property owner in Honduras, It’s important to note the financial obligations you’ll have. You’ll need an RTN Number (Registro Tributario Nacional or Tax Filing Number) to do any business or legal transactions in Honduras, including the purchase of property. Again, I’m always available to help to ensure all your legal obligations are met during the buying process. Another financial obligation is your property taxes, which are quite low here in Honduras. Generally speaking, you can estimate around $4 per $1,000 of property value per year for taxes. That property value is determined by the deeded value cost or the catastral value, whichever is greater. The catastral value is what the municipal declares the property to be worth. Those property taxes are paid annually in August at the municipal offices in Oakridge or in Coxen Hole. You can get a discount if you pay your property taxes in the first quarter of the year. Don’t forget about Capital Gains Taxes as you consider your real estate purchase in Roatan! Another consideration is customs duties, which are typically around 40%, so calculate that into your costs if you wish to ship large items from home. Finally, financing in Roatan might be different than what you’re used to back home. Roatan banks don’t usually make loans to non-residents, and North American banks don’t usually make loans on foreign properties. 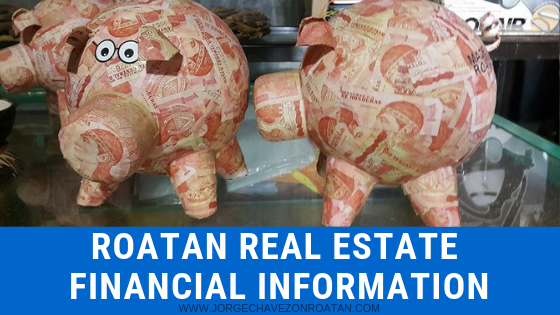 What tends to happen in Roatan is that buyers will take a second mortgage back home, or they’ll buy a property in full in Roatan after the sale of property back home. Only you can know your financial situation, but I am more than happy to advise based on common practices in Roatan. Feel free to contact me any time. 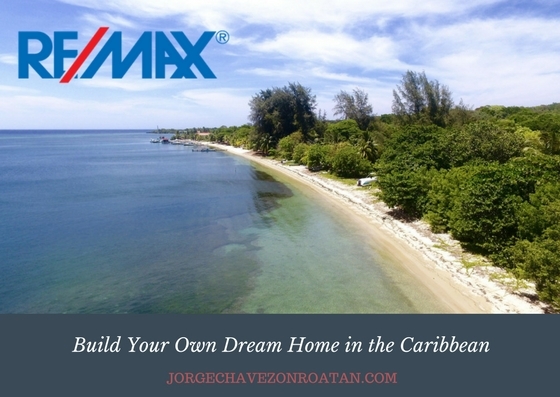 If you’re ready to invest in your Caribbean island dream home, take a look at available properties on the Roatan MLS, or just get in touch and tell me your wish list. Let’s make that dream a reality! A common question I receive is in regards to seller closing costs in Roatan. 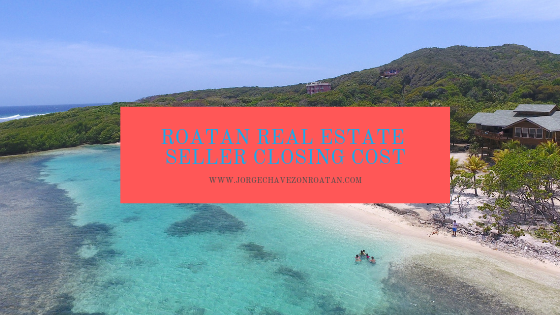 It can be hard to navigate a foreign system and bureaucracy, so I thought it might help to pull together all of the Roatan real estate seller closing costs here. 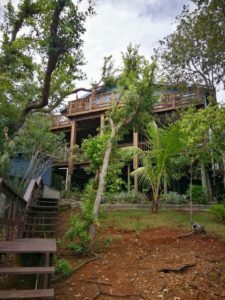 If you’re considering selling your Roatan real estate, take a look through this list to be sure you’re prepared. You can also check out my thoughts on why I’m the best realtor for selling your Roatan real estate. And never hesitate to reach out and ask me questions directly – I’m always happy to help! Catastral: Catastral is the deeded value according to the municipal government. You will pay usually between $60 and $80. When selling your real estate, it’s not only the numbers that matter. Especially when looking at foreign-owned property, there are many other considerations to take into account. For example, if you’re leaving the island and moving out of the country, you’ll need to consider the timing of selling your property and moving on. While you can provide Power of Attorney if you can’t attend the closing, that’s something you need to consider in your total selling costs. If you do choose to attend after leaving, add in the expenses associated with travel to the island, accommodations, food, etc, all while you’re here. You could also consider the idea of renting your property as a vacation rental, if that’s feasible for you. Vacation rental properties are incredibly popular in Roatan and could prove to be a solid investment. Ask me for further advice; I will be perfectly honest about your specific situation and will try to help guide you in the best direction. Those of us who live here know it already, but the word is getting out: Roatan is a premier destination. We are regularly on the list for places to visit and islands to live on. In fact, in TripAdvisor’s “Best Of 2017” list, Roatan is one of the top destinations in the world! Roatan comes in at #15 in the entire world according to TripAdvisor rankings. 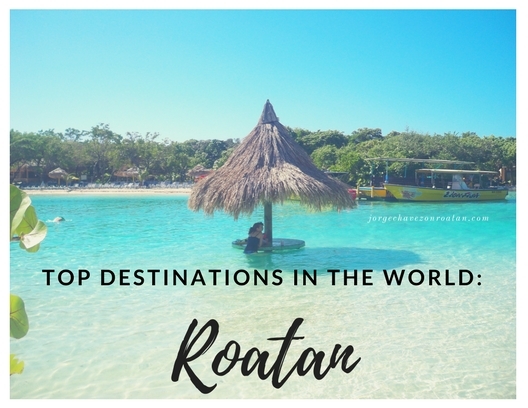 Considering the wide range of places included in that top destinations list, we are thrilled to see how much people love Roatan! Other top destinations in the world include London, Paris, Rome, and NYC. Amongst those giants of tourism and historical fanfare, Roatan seems even smaller. But that’s what makes this list so wonderful. Being voted by travellers as a top destination in the entire world is a true honor. It means that the smaller numbers of tourists who visit Roatan as compared to those massive capital cities all believe that Roatan is worthy of the accolades. We’re more than proud to receive the recognition from all our visitors. But, those of us who live here will say this isn’t news to us! We’ve always known that this piece of paradise is one of the top places in the whole world. If you haven’t yet visited our beautiful tropical isle, there’s no better time than the present. With continuous recognition on an international scale, we will undoubtedly grow and change in the years to come. From a real estate perspective, of course that’s promising! Buyers can still grab a great deal now before prices inevitably rise with increased interest in Roatan. Sellers can make plans with confidence that their property will sell quickly as more and more people want to move to paradise. It’s no wonder that even cruise ship tourists ask for real estate tours. Once you see the beauty of this Caribbean island, it’s easy to get sucked into what we call The Vortex. Roatan just mesmerizes you and keeps you here longer than you might have intended to stay. 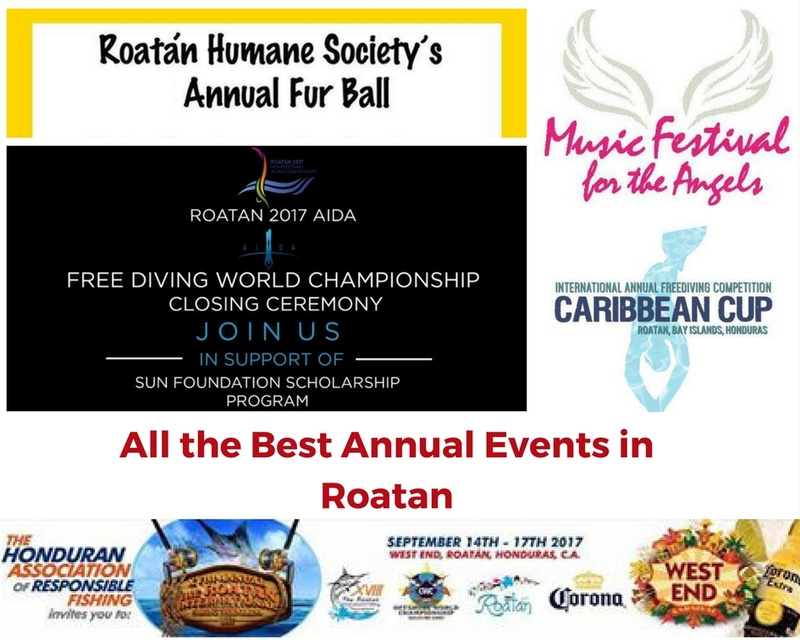 Why Is Roatan a Top Destination? There are so many reasons to love the island of Roatan. If you look through TripAdvisor for the island, you’ll notice endless activity options. Roatan is known as a scuba diver and snorkeler’s paradise. The coral reef that fringes close to shore is the second largest in the world, smaller only than the famous Great Barrier Reef. Roatan also offers plenty of other water activities, from paddleboarding in our calm sea to deep-sea fishing only a few minutes from shore. You can walk through botanical gardens or soar through the jungle on a zipline canopy tour. The diversity of fun on this small island is truly astounding! Add to all that the breath-taking natural beauty and you can easily see why visitors love Roatan so much. I love Roatan so much that I moved my family here after years of living in the States. Our lifestyle is dramatically better here. We have the Caribbean Sea as our front yard and playground…it was the best move we ever made. If you want to move to paradise, let me know what you’re looking for and let’s make it happen together. I look forward to helping make your dreams your new reality! 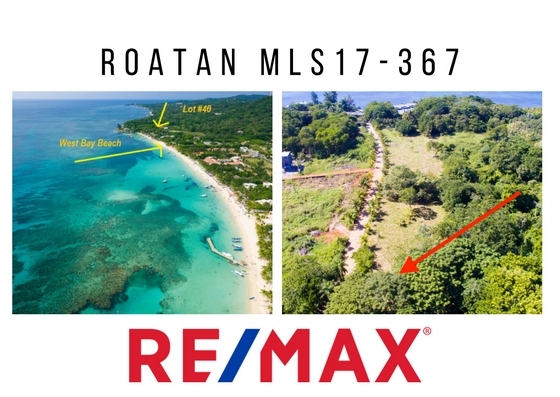 Brand new to the Roatan real estate market, this 1.25-acre beachfront lot rests within easy walking distance of West End Village en route to world-famous West Bay Beach. 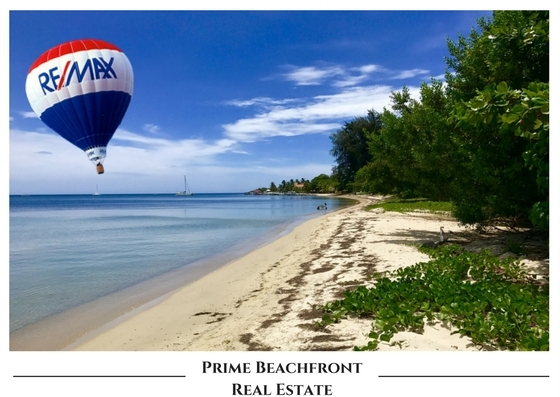 This location cannot be understated: finding such a large tract of empty beachfront property in such a popular area is now incredibly rare. Take a look at this beautiful beachfront acreage with endless opportunities for development. It goes without saying that a beachfront lot on a tropical island is a dream come true. This location offers even more opportunity because of its proximity to Roatan’s two premier tourism centers, without being in the thick of the crowds. If you’re considering investing in the Caribbean, this is your chance to get in on the upswing in Roatan. With 1.25 acres to enjoy, you can design the home of your dreams. 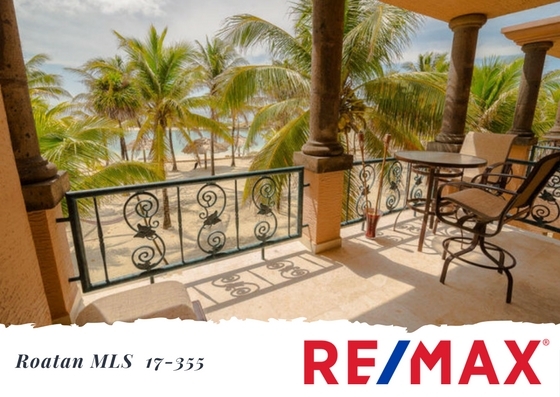 Enjoy unlimited access to the Caribbean Sea from your front door and lush tropical jungle at your back. Bask in the privacy of a locale that isn’t filled with tourists, while still being close enough to walk to bars, restaurants, dive shops, and other activities in West End. Note that there is currently no road access, so no worries about traffic! And getting around by boat is much more fun. This opportunity to design your own beachfront dream home from start to finish is rare in the Caribbean these days. Finding empty beachfront property in such a desirable area means this won’t last long! 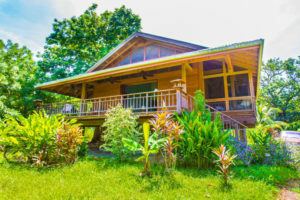 Vacation rentals and snowbird homes are incredibly popular on the Caribbean island of Roatan. Building a small development on this beachfront acreage is a fantastic option. Take a look at Turtle Beach and Orchid Beach, two small neighborhood developments just past this beachfront acreage headed toward West Bay. With homes there being popular on the vacation rental market, income streams into the developments throughout the year. Condos are incredibly convenient for countless reasons, but there are only a few small community condo developments in Roatan. 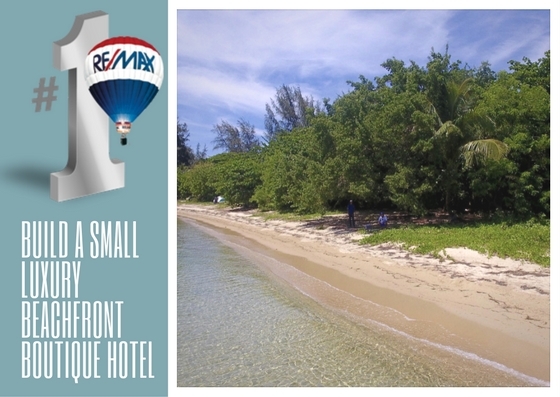 This beachfront acreage offers an amazing opportunity to build a small condo complex right on the beach. The beautiful area offering all the conveniences homeowners or vacationers could want will make for an easy selling point. Similar concepts to look at in the area include Villas del Playa or Mangrove Dock condos. What more could a visitor want than a beachfront location away from the crowds offering high-end luxuries and world-class service? Unfortunately, there aren’t many hotels providing experiences of that caliber here in Roatan yet. 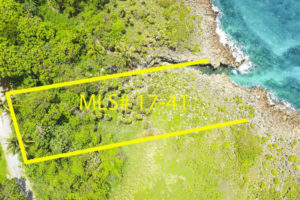 That’s a gap in the market that will inevitably be filled – this beachfront acreage being an ideal example of a waiting opportunity. The only small luxury beachfront boutique hotels around include Xbalanque or Mayoka Lodge. Other luxury accommodations are large resorts, while other small boutique hotels lack the “luxury” title. With increased interest in the island of Roatan from tourists around the world, the market will continue to expand and services are already rising to meet those needs. A small luxury beachfront boutique hotel might find itself primed and ready to welcome those high-end visitors destined to come to Roatan in the coming years. Whatever dream you can come up with for this beachfront acreage, I’m sure the right investor will happily maximize its potential. Contact me for more details about this listing or to arrange to view it in person.